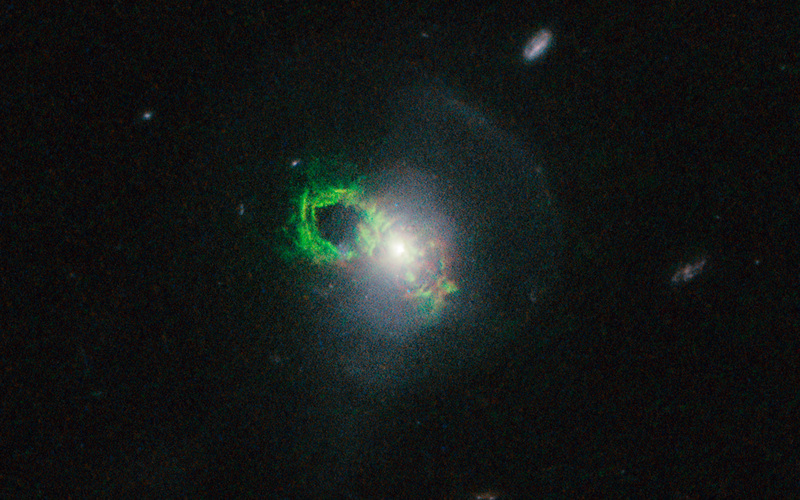 This new NASA/ESA Hubble Space Telescope image shows ghostly green filaments, lying within the galaxy Teacup (also known as 2MASX J14302986+1339117). 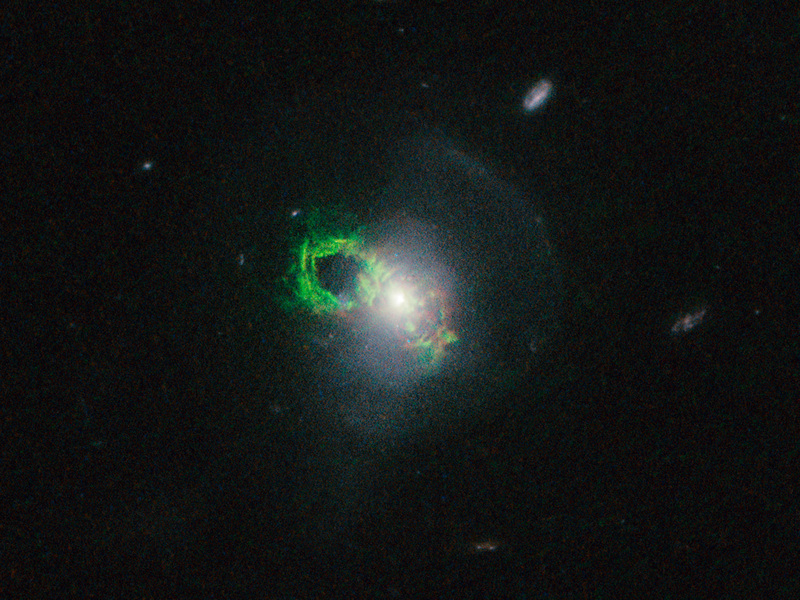 This filament was illuminated by a blast of radiation from a quasar — a very luminous and compact region that surrounds the supermassive black hole at the centre of its host galaxy. Position (Dec): 13° 39' 15.15"